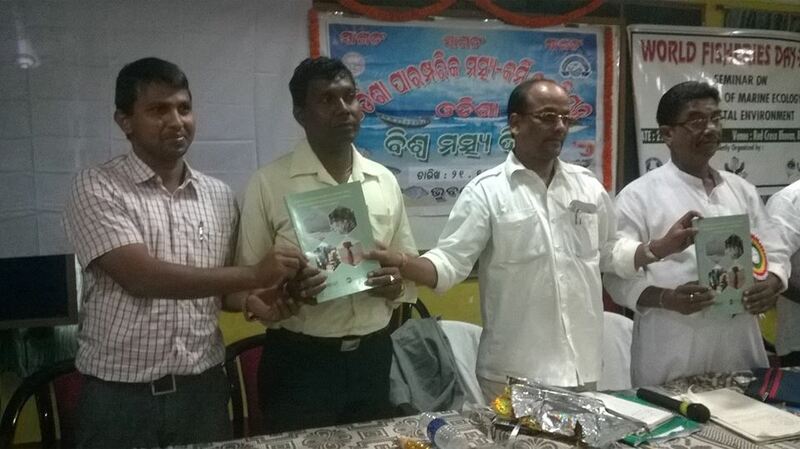 A study on coastal livelihood Security among marine fishing communities in Ganjam district with the objective of analyzing the issues and opportunities of marine fishing communities was released on the occasion of the World Fisheries Day. A Study on value chain approach for marine fish products was also carried out. A district level consultation on coastal livelihood security was organised. As many as 140 CBO leaders from 27 villages shared their issues and concerns before a team of experts constituting Dr Haribandhu Panda, Pro Vice chancellor of Centurion University, Dr Jacob Tundil, Director PREM, K A Allaya , general secretary of Odisha Traditional Fisherman Union. The consultation provided us a much-needed insight into the practical needs of the fishing community. Findings of the research studies on coastal livelihood security for marine-fishing communities were shared on the occasion and suggestions from the consultations were incorporated in the study report. VIEWS is a growing grass-root organization that believes in shaping "agents of change" who can give back to the community. Working in partnership with Nourish International, ICCO-Netherlands, National Foundation for India and Ministry of Environment and Forest (Government of India). VIEWS is registered under the Societies Registration Act, Foreign Contribution Regulation Act (FCRA), 12 A and 80G for tax exemption under Income Tax Act in India.